Is Windows Phone catching up with iOS, Android? Windows Phone operating system is still a distant third to market leaders Android and iOS, but adoption of Microsoft’s mobile OS in the United States appears to be picking up. Windows Phone OS took nearly five per cent of smart phone market share in the U.S. in the third quarter ending September 30. The OS also exceeded 10 per cent market share in the five biggest European countries, according to a report released by market research firm Kantar Worldpanel ComTech. We will likely see Windows Phone for year because Microsoft has the money to back it and has the will to continuously improve the OS, according to some analysts. 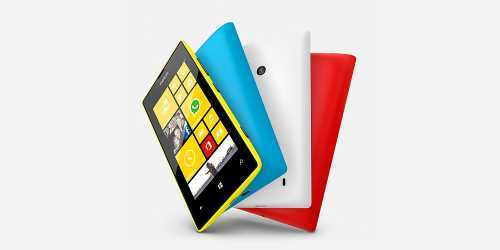 Microsoft’s plan to converge its Windows operating system also bodes well for the mobile OS while the climbing sales of low cost like Nokia’s Lumia 520 will keep continue to push Windows Phone adoption. Windows Phone will gain market share slowly but Microsoft has deep pockets and “can subsidize it for a long time if it chooses to do so,” according to Jack Gold of analyst firm J. Gold Associates. Kevin Restivo, an analyst for IDC, said Windows Phone faces stiff challenges in lucrative markets like China but he thinks Microsoft will still support its mobile OS for the long haul even if its market share remains at 10 per cent. Windows Phone only has 3.5 per cent of the market share in China, which is considered the world’s largest smart phone market. Restivo said Windows Phone will also have a better chance of capturing a piece of the enterprise market once Microsoft is able to come up with converged operating system. If Microsoft develops a common software across smart phone, tablet and desktop platforms there will be “more reason to take Windows into the enterprise, and it’s easier for IT managers with less of a development gap,” he said. By the spring of 2015, Microsoft is also set to unveil updates to Windows Phone, Windows and Xbox One. While Xbox One, Windows 8 and Windows Phone 8 already share a common kernel, Threshold will provide even more commonality.